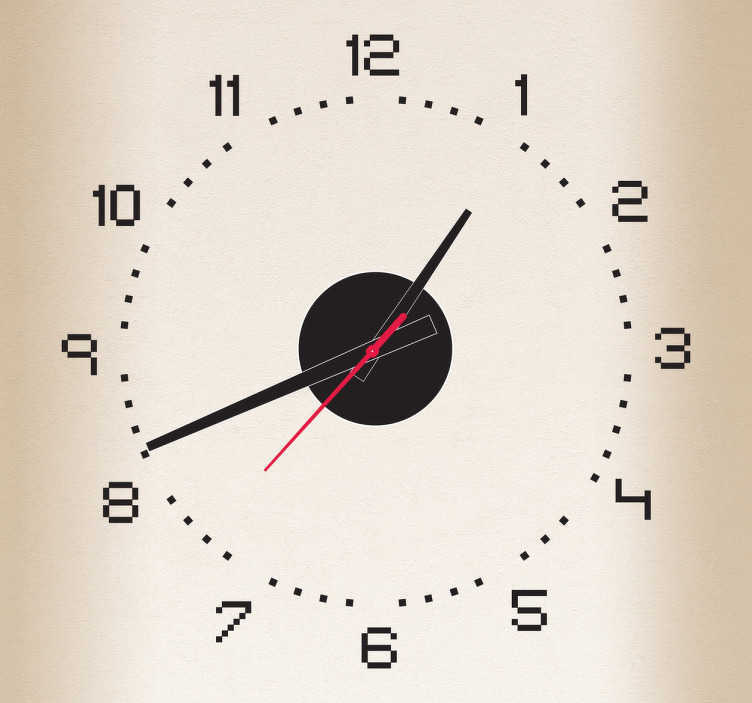 A modern clock wall decal with computer screen numbers to decorate your bedroom or living room. Brilliant monochrome sticker to give your home an elegant and stylish atmosphere and appearance. Remember to pick your favourite colour. Clock mechanism included. Clock is 23cm (diameter) and the mechanism device is 8.5cm (diameter). Clock hands: Hour Hand 9.3cm/Minute Hand 13.2cm/Seconds Hand 9.0cm.